Last night Jeff and I didn’t feel like cooking. 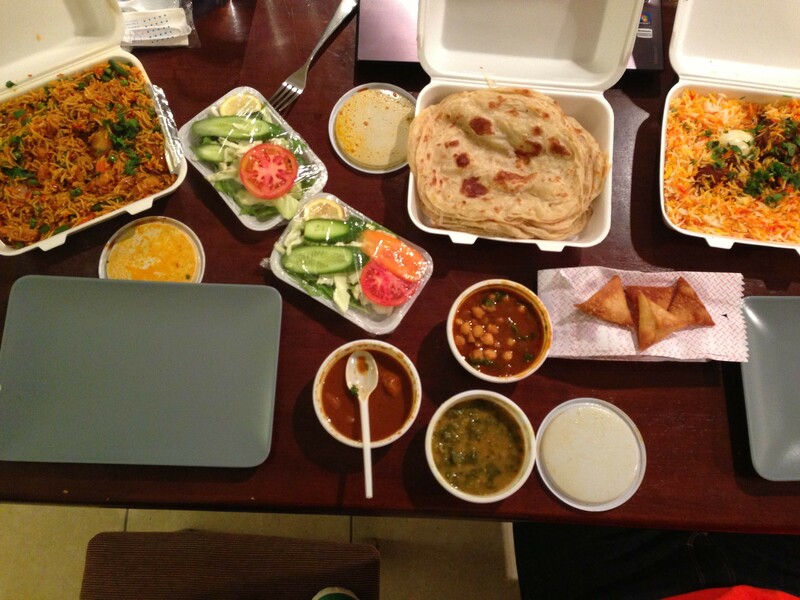 On our walk back from the grocery store we decided to call and order Indian to get delivered to our apartment. Normally we don’t like eating out because it’s expensive and we can usually cook something better at home. Luckily in Kuwait there are lots of small, cheap, quality restaurants! After we got home we waited a few minutes and the call came that our food was in the lobby. When we got the food up to our apartment we realized there was a miscommunication on the phone…we’re not really sure everything that we got but we do know it was all tasty! And it was only 4kd with tip for all of it! We had enough food for dinner for 2, lunch for 3 AND there were leftovers!